The US Environmental Protection Agency should have intervened to protect the people of Flint, Michigan from lead-contaminated water at least seven months sooner, an EPA “alert report” has found. It also urged updates to the Safe Drinking Water Act. The EPA’s Office of the Inspector General (IG) said the agency had “sufficient” information and the authority to issue an emergency order already in June 2015, but it did not do so until January 21, 2016. Among factors that affected its delayed response to the Flint environmental crisis was the Safe Drinking Water Act (SDWA) and its Section 1431, which set the “jurisdictional bar” for the EPA to act while local authorities were sitting idle. The EPA has admitted that in the absence of its intervention in Flint, the state continued to delay response to either require corrosion control or to provide alternative drinking water supplies to people. Section 1431 guides the EPA to act in case it knows that contamination may result in health risks or if a state does not act. However, it also says that the EPA may proceed with Section 1431 emergency actions “when State and local authorities are working jointly” with the agency. The report says the agency offered technical support to Michigan back in February 2015, but the state decided to wait for the results of the second round of lead sampling, which was not due until August. 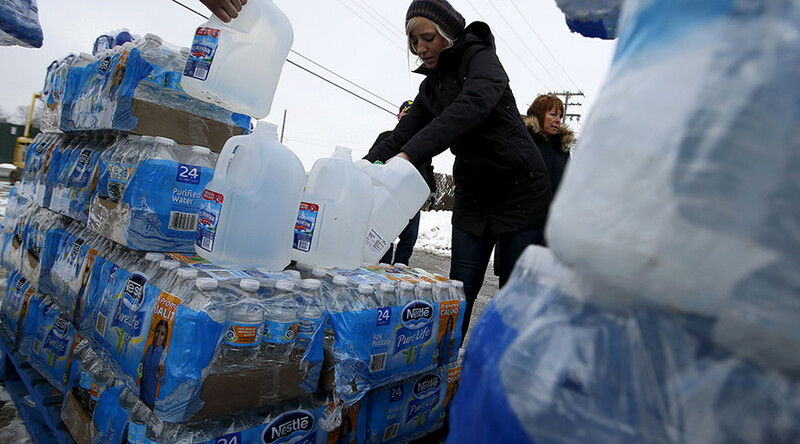 “During the fall, the state began to take actions to correct the problems in Flint. EPA Region 5 maintained that the state was acting, but the contamination continued,” the EPA’s IG explained. The EPA did not proceed with an emergency order until January 2016, when Michigan Governor Rick Snyder declared a state of emergency. “The EPA can do more to emphasize that SDWA Section 1431 is a tool that should be used in cases where responding with urgency will protect human health,” the IG wrote, saying that the section should also include relevant examples of how and when it was used. The water situation in Flint became a full-blown crisis when, during the summer of 2015, rising levels of lead were being detected in children’s blood. By then it had already been almost a year since Flint switched water supplies. In April 2014, it stopped purchasing treated water from Detroit Water and Sewerage and started sourcing and treating its water supply from the Flint River instead. Residents immediately complained about odd tastes, smells and coloring.